Free Website tools & resources for DIY websites, no coding needed. We Update This Page Regularly So Keep Checking For More Free Website Tools And Resources. Free Website tools for DIY websites, no coding or technical knowledge needed, if your building and/or maintaining your own website then get your free resources here. The free Plug-ins are for self build WordPress websites. The following are free and you need no coding knowledge to use them. Free one page website from Google. Google claim you can have your website built and published in under 10 minutes. Google will publish it & take care of the SEO for you it automatically updates with info on your Google listing. Restrictions: It is limited to one page. You need to be registered with Google my business ( it's free) which you should be as part of good SEO practices. You need to buy your own domain name (about £10). Not the most versatile but this is the easiest to use of the stock website building sites, you get free website, free domain name and free hosting plus great support. A totally free package to get your business online. Restrictions: Your website will have .site123.me tagged on to the domain (our demo site is mekatrig.site123.me) you get 500GB storage and 1GB bandwidth (traffic allowance), more than enough to get your website up and running. If you use Site123 we recommend upgrading one their paid plans later on, you lose the .site123.me tag and get more storage & bandwidth. They give you a free website builder, free hosting and a free domain name ('yourname.wordpress.com'), no hidden fees, no strings attached. Your site will automatically have HTTPS security protocols giving your visitors added security and confidence in your business. WordPress is the worlds most popular CMS (Content Management System) that's the software that enables you to create, maintain and publish websites, it powers nearly a third of all websites in the world and best of all, it is open source (free to use for everybody). Restrictions: Your website will have .wordpress.com tagged on to the domain. We have a basic demo site www.mekatrig.wordpress.com. You get 3Gb storage with no bandwidth (traffic) restrictions. Upgrade to a paid plan and lose the .wordpress.com tag and get access to more powerful tools to help make your website better. This free CMS (Content Management System) powers about a third of the worlds websites and is the choice if you are serious about building and owning a bespoke world-class website for your business. Mercedes, Sony, Usain Bolt and hundreds more flagship companies and world celebrities all use WordPress. It's your website so you need to buy your own domain name and pay for your own hosting. See GoDaddy for some great deals on domain names and hosting. Use this link for money off hosting offers. 50% off hosting plans now at GoDaddy! 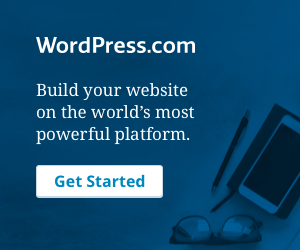 See our guide on using WordPress, building a world-class website is a lot easier than you may think and thousands of pounds cheaper than using a web design company. Restrictions: None on using the CMS, it's free to do anything you like with. If you're using WordPress you need page building tools, these quick and easy plug-ins mean you can create professional page layouts quickly using simple drag and drop, without using any code see our article on WordPress page building tools. Page builder by Site origin. The lite version is free and allows you to build a pretty good website, for a more advanced build you can boost it by using the many free plug-in add ons. If you really like it you can upgrade to the paid premium version instead. A clean and easy to use builder, once you've got the hang of using it you can build great pages simply and very quickly. This handy free Plug-in lets visitors see a quality under construction, coming soon or under maintenance page while you build and test your website. If you know when you are going live you can add a launch countdown clock as well. Online Tools easy & intuitive to use, make your logo, download to your desktop and use. They have graphics and font libraries great for simple effective logos. A downloadable tool which allows you to use your own graphics and images to produce a high quality professional logo. Please note the free version is for non commercial use only. There are dozens of 'free' tools online to help you do more advanced SEO but unless you have time to do the work focus on basic SEO and doing it well, that will give you good organic growth, which is going to be responsible for more than 60% of your traffic. Is a free 16 part video tutorial by experts showing everything you need to get started with and carry out your own SEO in an easy to follow format. Google & Bing, want good websites as the better their search engines operate, the more people will use them and the more money they will make. They have developed some very powerful tools to help you get the very best performance your website, from analyzing visitor data, checking indexing status and optimizing visibility to testing page load speeds (and telling you how to fix any problems). They are free for anyone to use. If you are doing your own SEO and marketing it is vital to use these powerful suites of tools. With a WordPress website you need to get this free plug-in, don't worry if the instructions seem complex or about the techie jargon used to explain how it works, it is remarkably easy to use and will help you to get the on page SEO basics right as you write your content. XML Sitemap & Google News feeds. Plugin for WordPress. Search engines need a site map, this is more Google friendly than the one provided by Yoast and includes a news feed. We suggest turning off the Yoast sitemap feature and using this simple free sitemap builder instead. The free web analytics service offered by Google that tracks and reports all aspects of your website traffic (your metrics), it is the most widely used web analytics service on the internet and possibly the most important tool for you. This is a must have tool! This will install your Google analytics tracking data on all your website pages and install a handy dashboard into your WordPress dashboard so you can monitor your metrics from there. Install after setting up your Google Analytics account. A great resource for seeing how your SEO is across the board. If we tried to tell you everything it does you would be reading for the next couple of hours so go and try it. There is a lot of really good information on the page to help you deal with all aspects of SEO. As you do SEO you find that keywords (the words people enter into search engines) are very important. Google AdWords has a Keyword planner that shows you how many times a month your chosen words have been searched for and suggests alternatives. Open a free account you do not need to have a paid advertising campaign to use this tool, you will find it in section 2 Choose a target audience, Keywords. Enter your keywords and see the projected amount of search terms for that word for the month, hit the see more button for suggested alternatives. Moz do a suite of very powerful and expertly crafted professional SEO tools, they allow you to do 20 free queries a month on their keyword planner, more than enough if your running a site with just a few pages and a twice a week blog. A very interesting tool which gives regional and global trends in what people are searching for and the search terms they are using to find it. Enter your chosen keywords to whose using them and what areas they are coming from, not so much a planning tool more an ideas generator. Submitting your website to search engines. Not really necessary nowadays as the search engine web crawling bots will find you. But submitting them does no harm and it is free. While we will do our very best to work out an affordable digital strategy and online marketing plan for your business we cannot do it for free. Sometimes circumstances and budget limitations mean free is exactly what you need, so we have targeted the very best free guide to DIY online marketing. The Beginners guide to online marketing is written by Neil Patel (one of the 'Marketing Gods’ of the internet) & Ritika Puri. This book could sell for £50+ and still be great value. Neil, being an absolutely brilliant person, as well as a marketing genius is giving it away for free as a tool to help others achieve what he has. Neil Patel is the co-founder of Crazy Egg, Hello Bar and KISSmetrics. He helps companies like Amazon, NBC, GM, HP and Viacom grow their revenue. The Wall Street Journal calls him a top influencer on the web, Forbes says he is one of the top 10 online marketers, Entrepreneur Magazine says he created one of the 100 most brilliant companies in the world. Neil is giving away this fantastic guide free so download it now, even if you do have a paid marketing package in place it’s still worth downloading and keeping a copy as a handy reference guide.